History and development - Centre Tomatis de Paris. 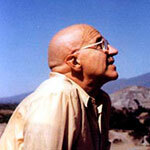 The Tomatis® Method was developed by Alfred Tomatis (born 1 January 1920 and died 25 December 2001), a French physician specializing in otolaryngology, ENT. He devoted a large part of his professional activity to studying the existing relationship between the ear and the voice, and by extension, between listening and communication. His discoveries were established at the physiology laboratory of the Sorbonne and gave rise to papers at the Academy of Sciences and the Paris Academy of Medicine in 1957 and 1960. It is possible to permanently transform the phonation by a hearing stimulation maintained for a certain time (remanence law). 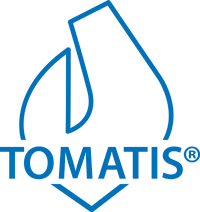 The Tomatis® Method is based on a number of concepts about how the human being develops, processes information, communicates with himself and others, and learns. Alfred Tomatis’ research has led him to develop a pedagogy that leads the individual to regain his analytical, concentration and communication skills. Thanks to a set of pedagogical tools, our method acts simultaneously on the three essential functions of the ear that, besides hearing, are balance, dynamization and listening.